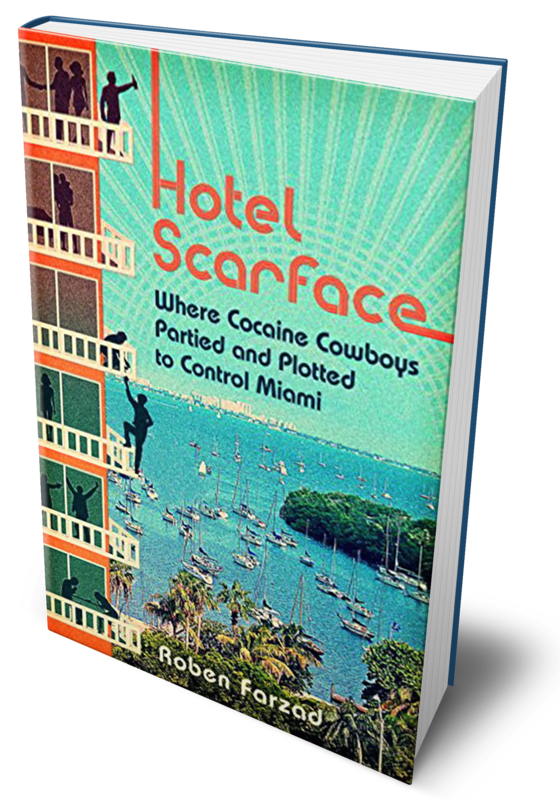 The true, stranger-than-fiction tale of the infamous hotel and club that hosted Miami’s Cocaine Cowboys. As the ’70s crashed and burned into the ’80s, waves of drug kingpins plotted to control Miami. This was their headquarters. Lock your doors. Watch your backs. Raise your glasses. Miami is about to blow, in a fiery explosion of cocaine, blood, bullets, torched cars, cash, immigrants, hustlers, dopers, informants, corruption, body bags and inner tubes. Behind the bar at the Hotel Mutiny, the hottest ticket in town as the clock approached 1980, waitresses and bellhops were stacking whiskey totes full of the white stuff. The tips — pure cocaine packed in hundred-dollar bills — were sluicing in. Everyone was trying to bribe their way to a coveted New Year’s Eve table at the hotel’s swanky, members-only Club, desperate to sit among a guest list that included Liza Minnelli, Ted Kennedy, Julio Iglesias, Burt Reynolds, Arnold Schwarzenegger, the Doobie Brothers and the Eagles. And America’s biggest cocaine kingpins. 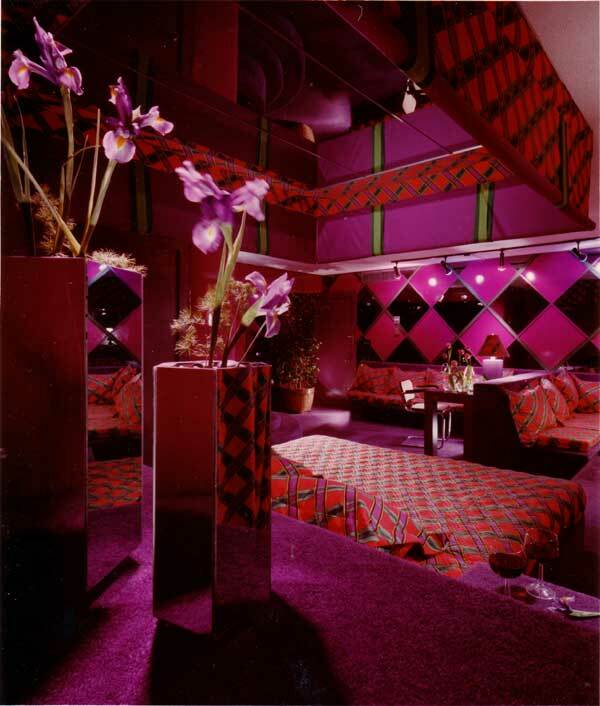 Having travelled the globe to locate his hometown’s most infamous kingpins, negotiate full access and tease out their stories, Farzad is uniquely placed to tell the tale of how waves of Cuban immigrants pursued their dystopian American dream of controlling Miami’s cocaine underworld, a conspiracy that was plotted in the members-only discothèque of the city’s hottest hotel. Immortalized in the blockbuster movie Scarface, the story of Miami’s cocaine trade is steeped in popular legend. And from Miami Vice to Grand Theft Auto to the hit series Breaking Bad, the fascination with 1970s-1980s Miami noir endures across the world. 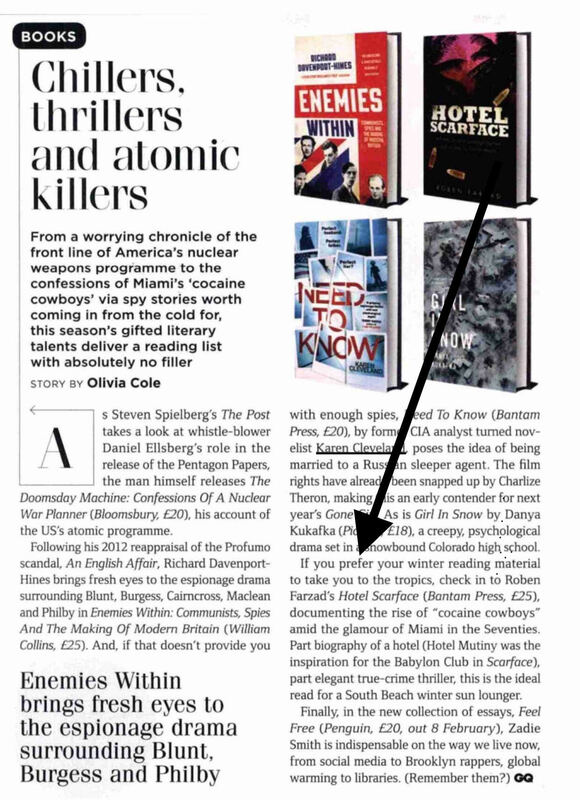 But the real-life criminals who inspired the legend have largely shunned attention – until now. 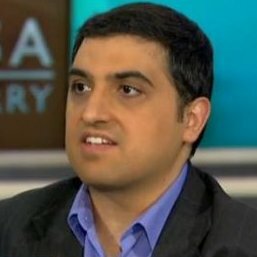 Roben Farzad hosts the weekly program Full Disclosure on NPR One and is a special correspondent on PBS NewsHour. He was previously a senior writer for Bloomberg Businessweek, where he covered Wall Street, international finance, and Latin America. In his decade at Businessweek, he reported everywhere from Mozambique and Botswana to the Mideast and Medellín, Colombia, to the Dominican Republic and the Niger Delta. He appears on MSNBC, CNN, The PBS News Hour, C-SPAN, CNBC, Dateline NBC, ABC’s Good Morning America, the CBS Early Show and Charlie Rose. He is also a regular on National Public Radio and has co-hosted the Brian Lehrer Show and Bloomberg Radio. Farzad’s byline has appeared in the New York Times, Wall Street Journal, Miami Herald and Boston Globe. Born in Iran and raised in Miami, Farzad is a graduate of Princeton University and Harvard Business School. — Brian Balogh, co-host of the nationally syndicated public radio show, BackStory. © 2019 Hotel Scarface. All Rights Reserved. Designed and managed by Boulevard Creative.